A few years ago, I started dreaming up a game concept revolving around pulling heists. You’d plan everything out Rainbow 6 style before actually going in, and you always had to get away with the loot. Oh, and you could off your teammates if you wanted. The game would’ve been drop in/out co-op compatible, and encouraged. But then Payday: The Heist came out in 2011, rendering my concept donezo. But Payday: The Heist wasn’t everything I wanted it to be. It was more Left 4 Dead, whereas I wanted more Rainbow 6. But it looks like the sequel will be changing things up a bit, and for the better. 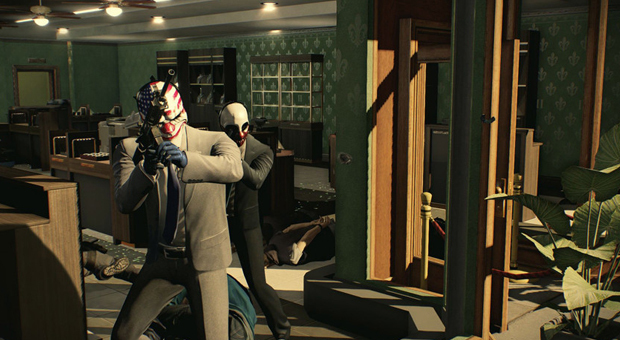 Payday 2 will feature more customization, better defined classes with their own specialities, more heist variants, a stealth system, and even non-lethal playstyles. For more details on Payday 2, check out Gameranx’s great interview with the game’s director, David Goldfarb. A lot of tantalizing details are teased, including a hint at a train heist. Guys, a train heist! I’ll buy three copies of the game based on that notion alone!